I get overwhelmed when I try to describe how much I love New York. I don’t know why, maybe it’s because I can’t articulate how much I love it, it literally makes me feel… all the feelings lol! 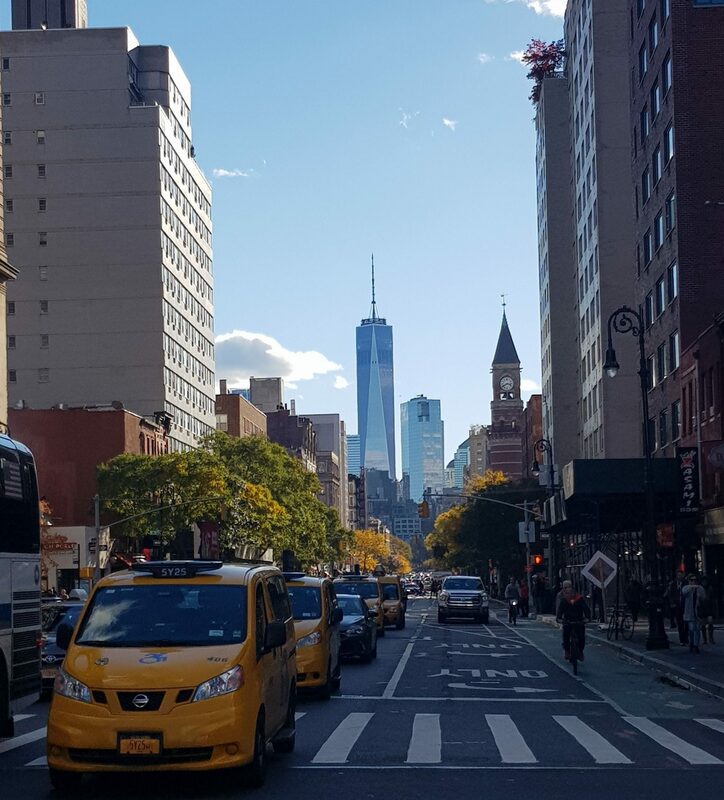 Alicia Keys said it best when she sang, “… There’s nothing you can’t do… these streets will make you feel brand new, big lights will inspire you…let’s hear it for New York…”. Having been to New York 5 times, we have seen and done most things (we even know our way around! ), so I think it’s about time I wrote about it in detail. 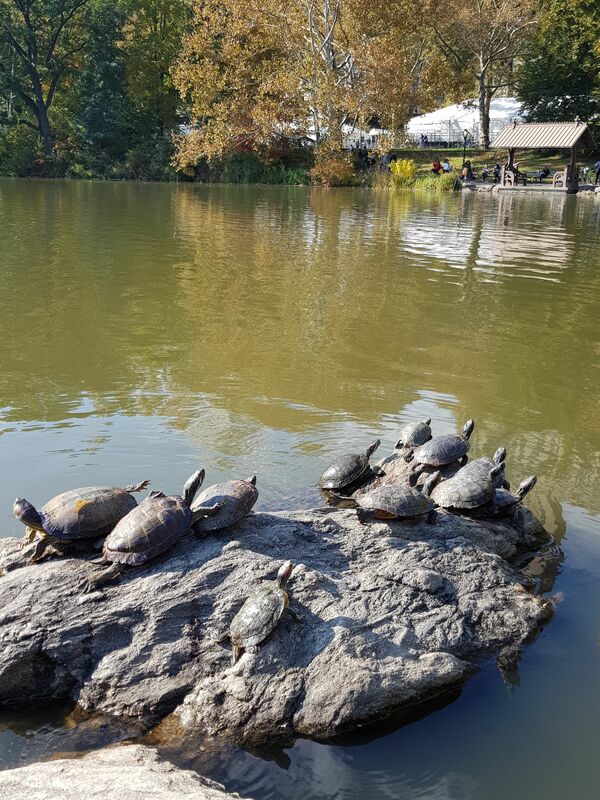 Now, I have 2 other posts on New York, one is all about the flights and the other is a list of FREE things to do! So don’t forget about those when you’re done here! 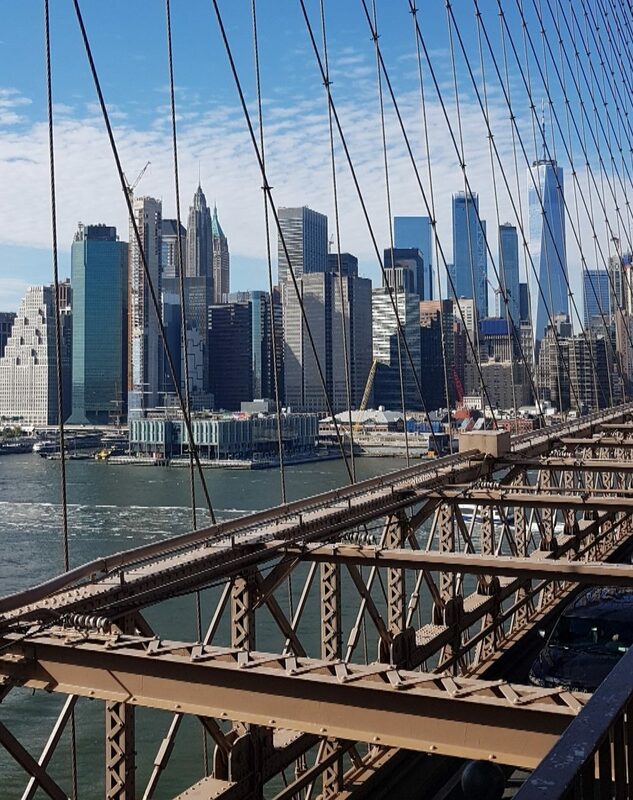 If you fancy seeing some of the things listed in this post with your own eyes, I have videos of our time in New York saved to My Highlights on Instagram. Because I’m sound :p…I have pinned everywhere mentioned in this blog post to a map for you. This map can be used when you’re in New York and you don’t even need an internet connection to use it! Irish citizens don’t require a Visa per se however we must get a travel permit. Electronic System for Travel Authorization or ESTA is mandatory (even for babies) if you’re planning a trip to the US. While the recommended time to apply for an ESTA is at least 72 hours before you travel, I would advise you to apply as soon as possible. Why? Because if you don’t have ESTA approval, you can’t enter the country. No harm applying before you book flights either! To apply for an ESTA, you must complete an online application form here which takes about 10 minutes. You’ll be asked to submit a picture of your passport as part of the process so have it at hand. You must have at least 6 months left on your passport (before it expires) so bear that in mind. Read more about ESTA here. Price: ESTA costs $14 each and is mandatory for all the family. Unless you’re going on a cruise, the only way to New York from Europe is by plane! 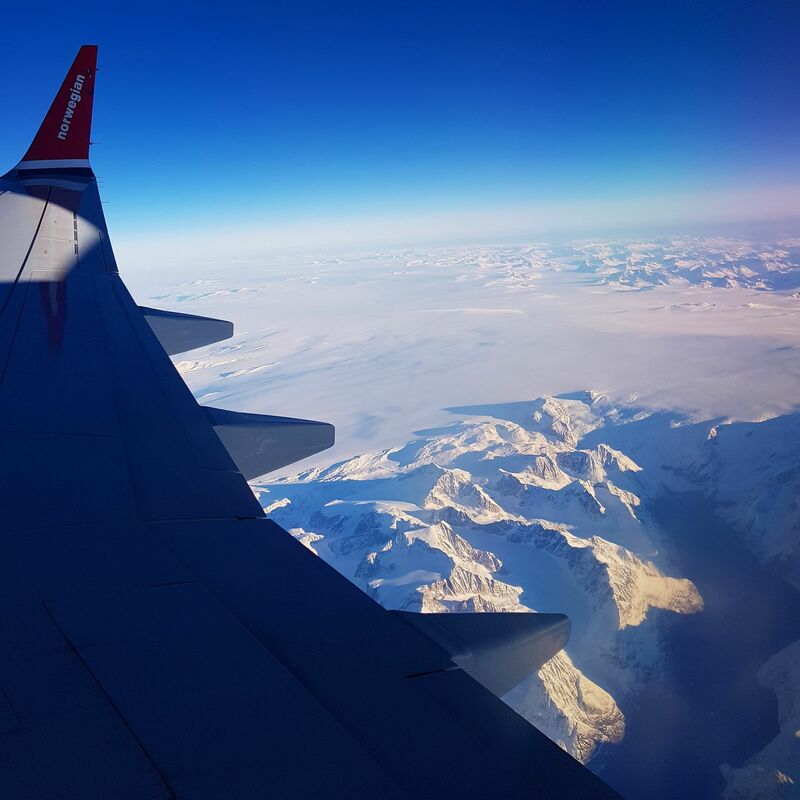 We flew with Aer Lingus 4 out of the 5 times but this time, we flew with Norwegian Airlines. Aer Lingus definitely offer a more comfortable flight but not that much more comfortable that we were willing to pay double! What does that price include and not include? What are the planes like? How was it flying into Stewart International Airport? How do you get from Stewart to Manhattan and how was the journey? I’ve been to New York a few times and so I’ve stayed in a few different hotels. I’ve noted those below that I would recommend based on my personal experience. AND…I also asked my followers to give me recommendations so there would be more options. I only included those highly rated and in the best locations. Prices: I haven’t included prices because they depend on your time of booking and when you book for. These recommendations are just to help you filter through the thousands of hotels in New York. 9 times out of 10 we use Booking.com. You can use my refer a friend code (e1d70c6e) for €15 off! Affiliate links below. So on that note, don’t put yourself under any pressure to bring a certain amount of spending money, don’t compare what you have to what other people brought and spent… I promise you can have the time of your life in New York with whatever spending money you have. There is so much to see and do and the very BEST parts are FREE. For starters… just being there in the first place. 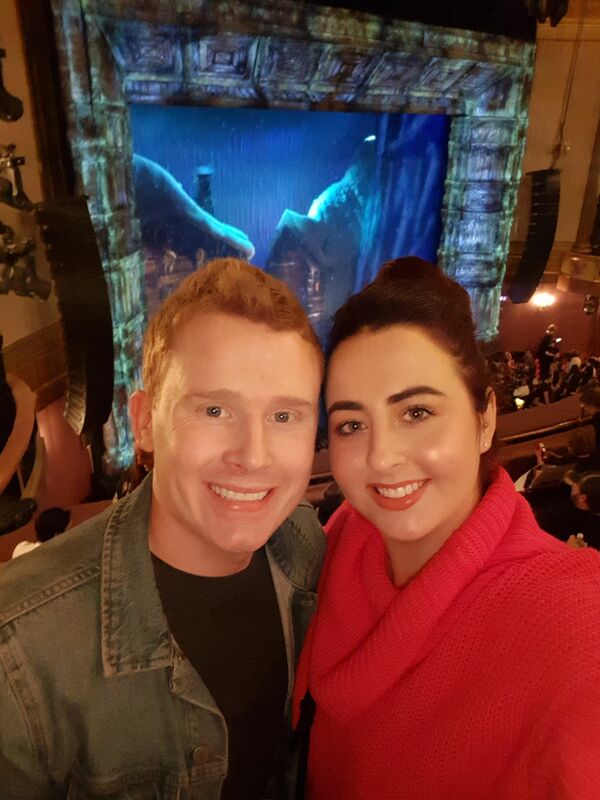 Oh pals… Broadway is a must! Go to see anything… honestly. Everything we have seen has been amazing (Avenue Q was my least favourite but still great). Wicked, Jersey Boys, Chicago, Frozen, Sister Act, Rocky… all incredible! My favourite you ask? Wicked, of course :p There are evening and matinee shows most days. On the day that you want to go to see a show, go to one of the TKTS stands. There are loads of shows discounted by up to 40%. Now, you won’t get the likes of Wicked or The Lion King but everything else I mentioned above can be got at a discounted price. Price: To give you an idea of prices, we paid $80 each for the Frozen tickets and $250 each for Wicked, which is WORTH. EVERY. PENNY. 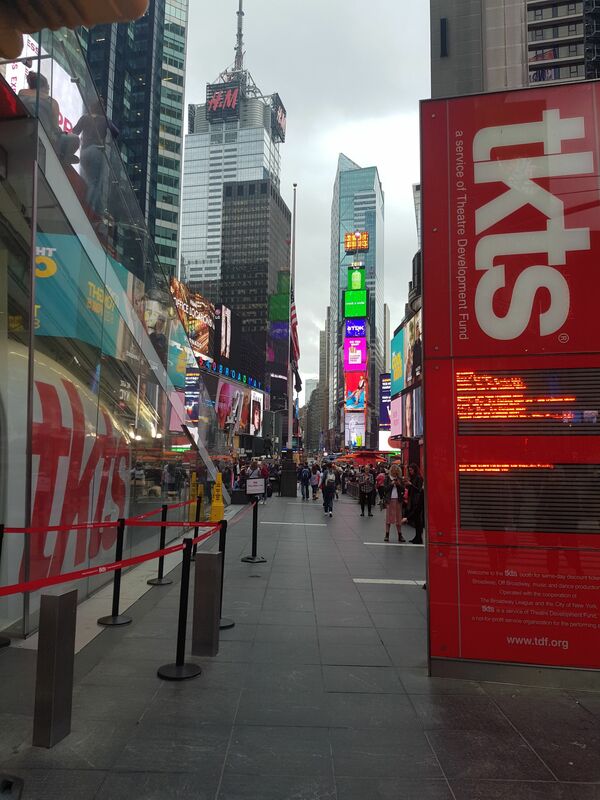 There are 3 TKTS booths; Times Square, South Street Seaport and the Lincoln Centre. They’re all pinned on my map above. I recommend you go to South Street Seaport because it’s open earliest and so you’ll get better seats! Although most of the theatres are very small so there is no such thing as a bad seat! Check out opening and closing times for all TKTS booths here. 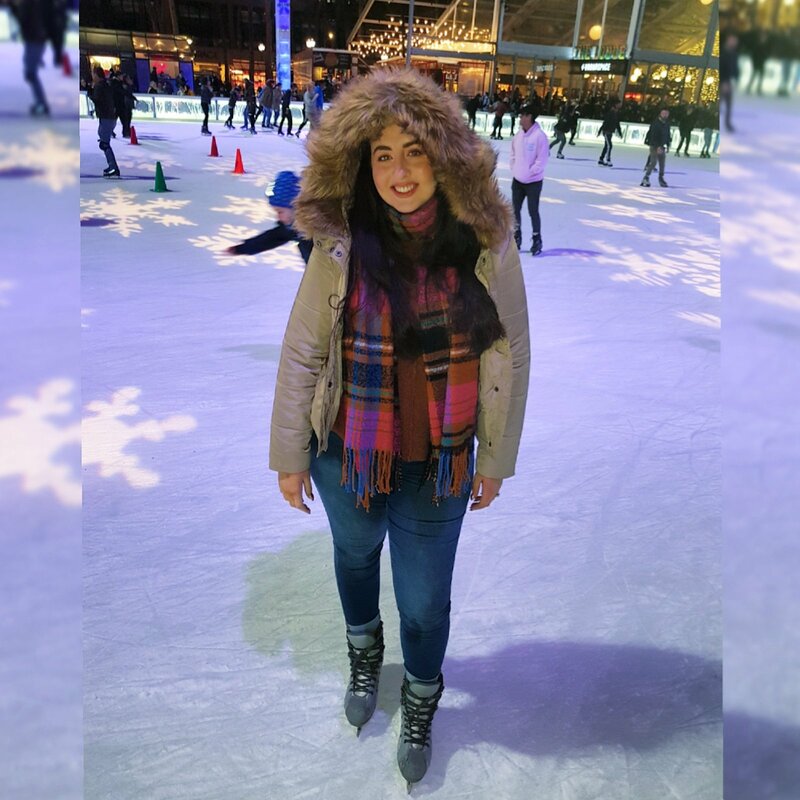 Ice skating in Central Park, Bryant Park, the Rockefeller Centre… take your pick! I fell on my face in Bryant Park but at least it was with the Empire State Building in the background! I should say, ice skating is only available in the winter months. Price: It’s funny, the entry fee to skate in Bryant Park is “free”, but the skates are $20 to rent, so unless you packed your ice skates… it’s not free! The best $15 we ever spent. 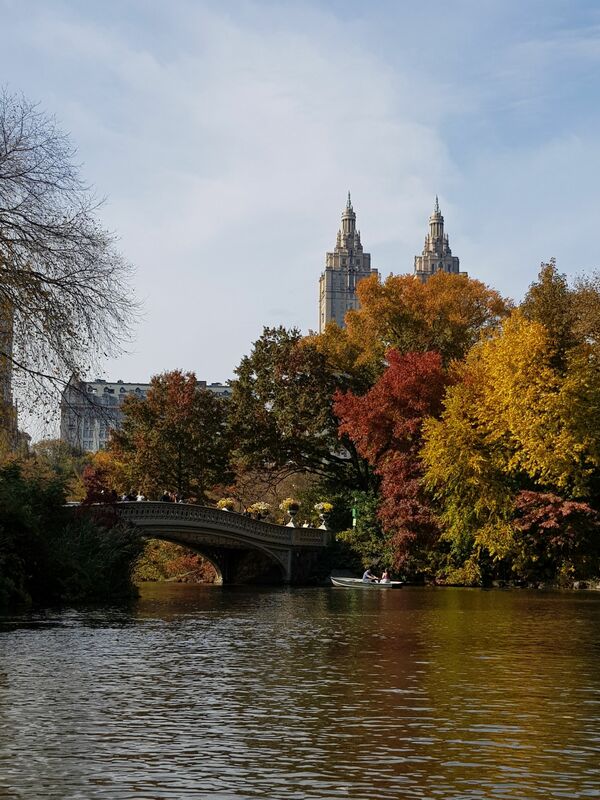 Central Park in autumn is one of the most beautiful things I’ve ever seen and, seeing it by boat, was just the icing on the cake. Price : $15 each and $20 deposit (refunded). It’s a memory that will stay with me forever! “The Lake” freezes in the winter months so this wouldn’t be possible then! 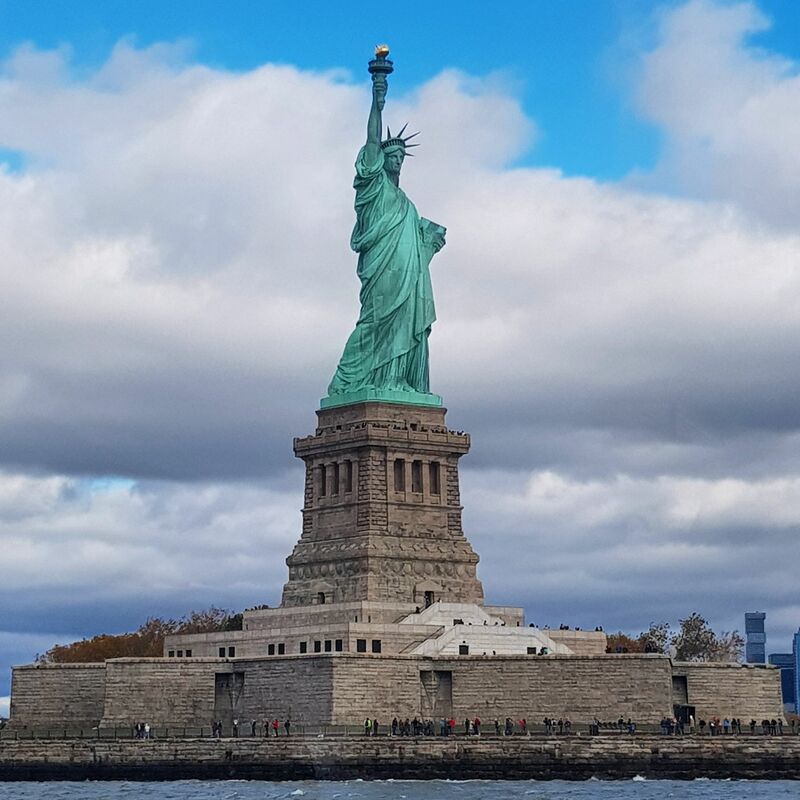 If you’ve read my Free Things to do in New York blog post, you’ll know that there is a way to see the Statue of Liberty for FREE. 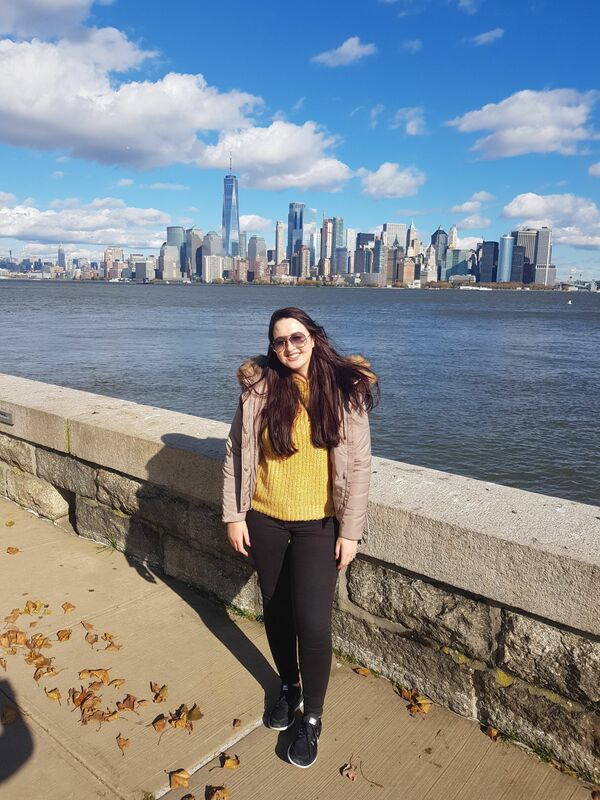 We chose that option before but this time, we really wanted to visit Ellis Island, and so we got a combo ticket to visit both Liberty Island and Ellis Island. I’ve another lesson learned to share here. We booked our tickets in advance on Statue Cruises however, they were actually a few dollars cheaper at the ferry terminal (Battery Park)! All tickets come with an audio guide and it is a MUST (especially on Ellis Island). 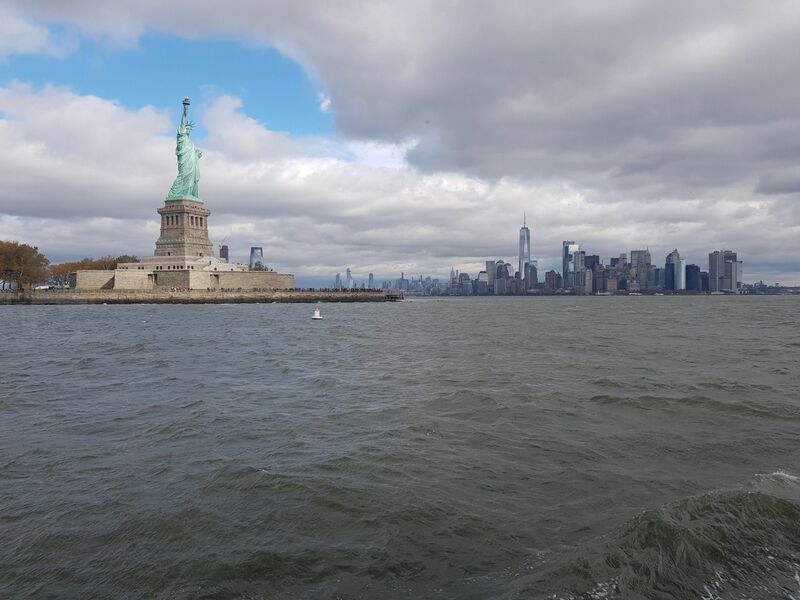 Liberty Island, home to Lady Liberty, was… FREEZING! Obviously it was the time of year (end of October) but because of the cold we didn’t stay for long. 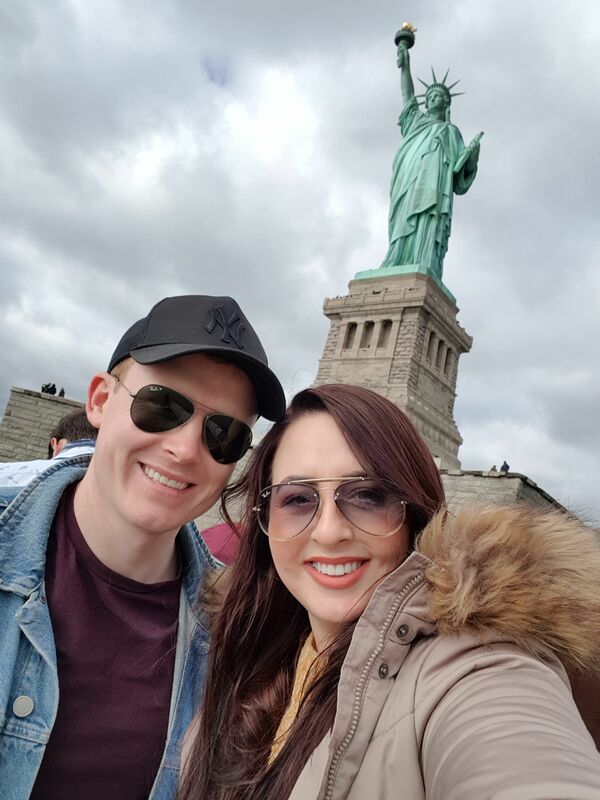 We got our selfies with herself, admired the view of Manhattan, and legged it back to the ferry to take us to Ellis Island, Immigration Museum. 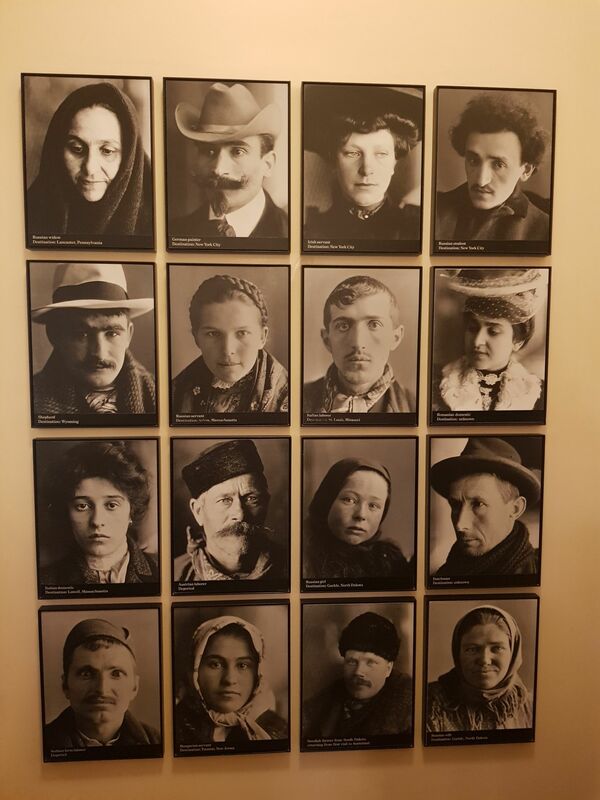 Ellis Island was a real surprise for me because I had little to no expectations for the place. Actually, when the ferry dropped us off at 12.20pm, we agreed we would catch the 1pm ferry back to Manhattan. 3 and half hours later we were still walking around reading about those who fled their home countries in search of a better life in America… including over 2 million Irish people. 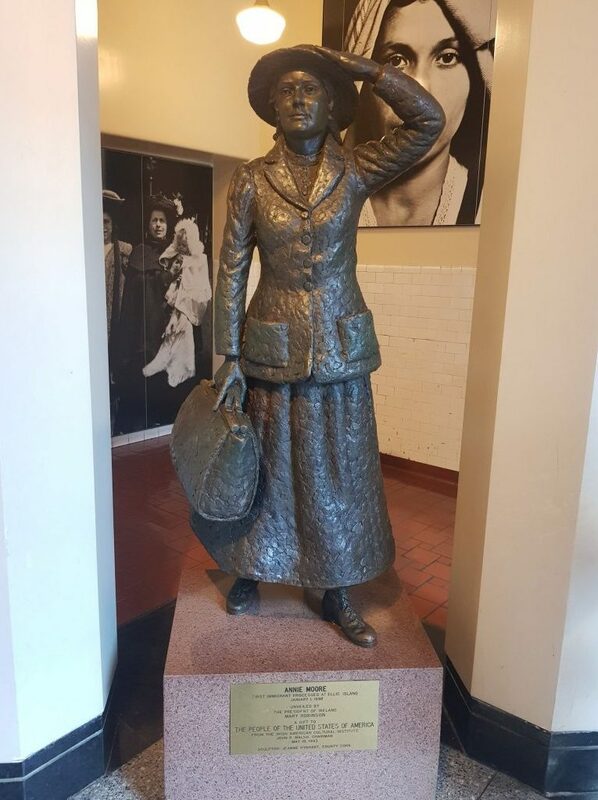 In fact, the first immigrant to be processed at Ellis Island was an Irish lady, 16 year old Annie Moore from County Cork. I was so happy to read this! If you know that your ancestors left Ireland for America, you can look them up in the Passenger Database! It will tell you loads about them including: their age, weight, height, whether or not they could read or write, who they travelled with, on which boat… right down to the time and date they arrived in the US! It’s $7 to search the database but a little tip, if you don’t know many details (just a name will not do), it is a waste of money because you can’t narrow down the search! I still enjoyed reading about the Irish passengers though. We LOVED visiting Ellis Island, we were both engrossed in the history! 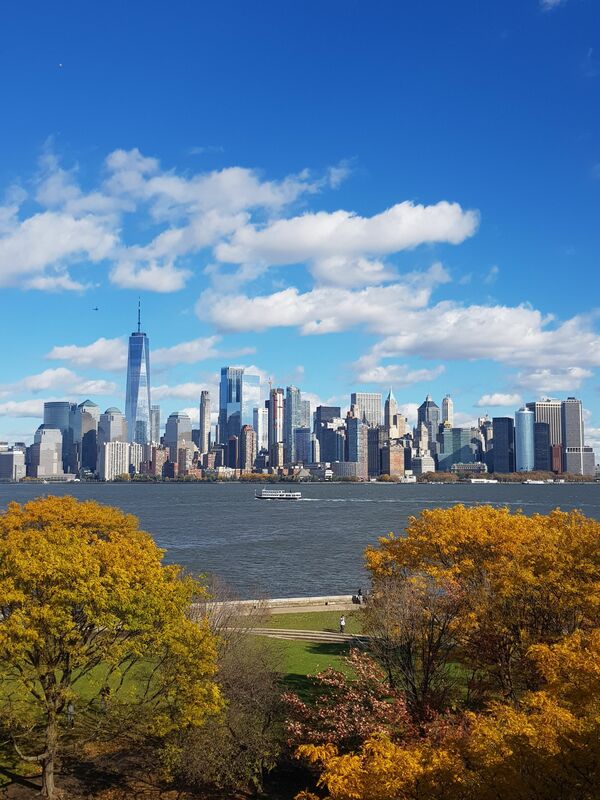 Oh and I nearly forgot to mention… look at the views from Ellis Island! 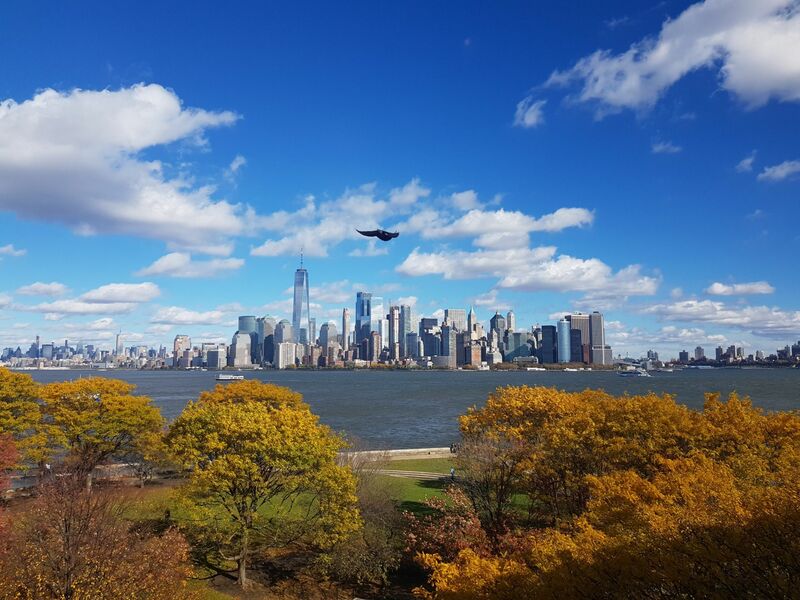 Manhattan, New Jersey (left) and Brooklyn (right), a nicely timed bird, and absolutely no filter! Price: $13.50 each to visit both Liberty Island and Ellis Island. Book at the ferry terminal (Battery Park) for cheaper ticket prices. This is not something we have done but maybe next time :p There are so many operators offering tours on the Hudson River. If you look here on TripAdvisor, you can read the reviews and see what type of cruise you fancy! Price: Depending on what option you go with, prices range from $15 to $200! One of the best views of New York is from the top of the Empire State Building but that’s not why I recommend this. THE. AUDIO. TOUR. IS. BRILLIANT! Not only does it tell you what you are looking at, but it also educates you on the history of New York! Price: Tickets for the Main Deck (86th Floor) start at $38. To visit the Top Deck (102nd Floor) as well as the Main Deck, tickets start at $58 each. The view is just as good from the Main Deck so I wouldn’t pay the extra $20 to go up to the Top Deck again. Book here. In my opinion, the Top of the Rockefeller Centre offers a much better view because the Empire State Building is in the view and it is cheaper! The only thing is, Tony is not there so it’s not as good of an experience. Price: From $30 each, book here. 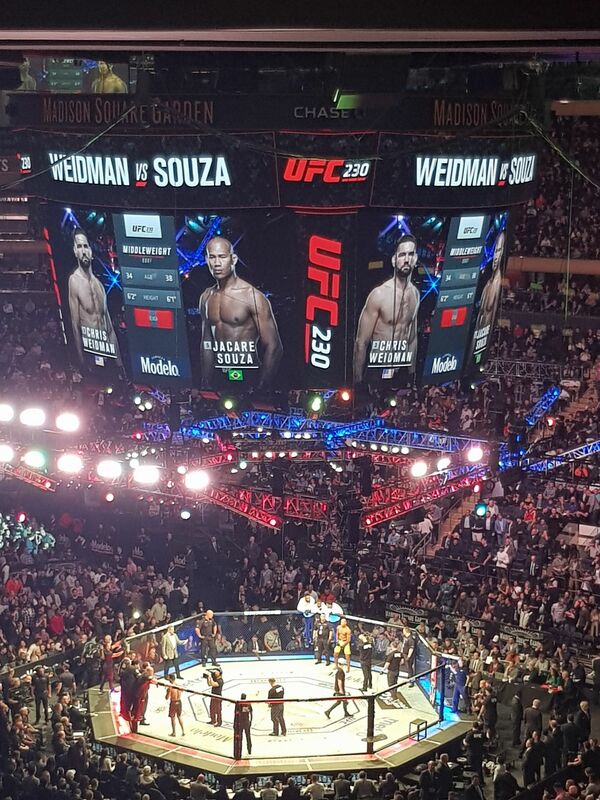 Basketball, baseball, ice hockey… there are so many sporting events happening in New York! Have a Google before you go and see what is on! It would be cool to see the New York Knicks and Yankees play! 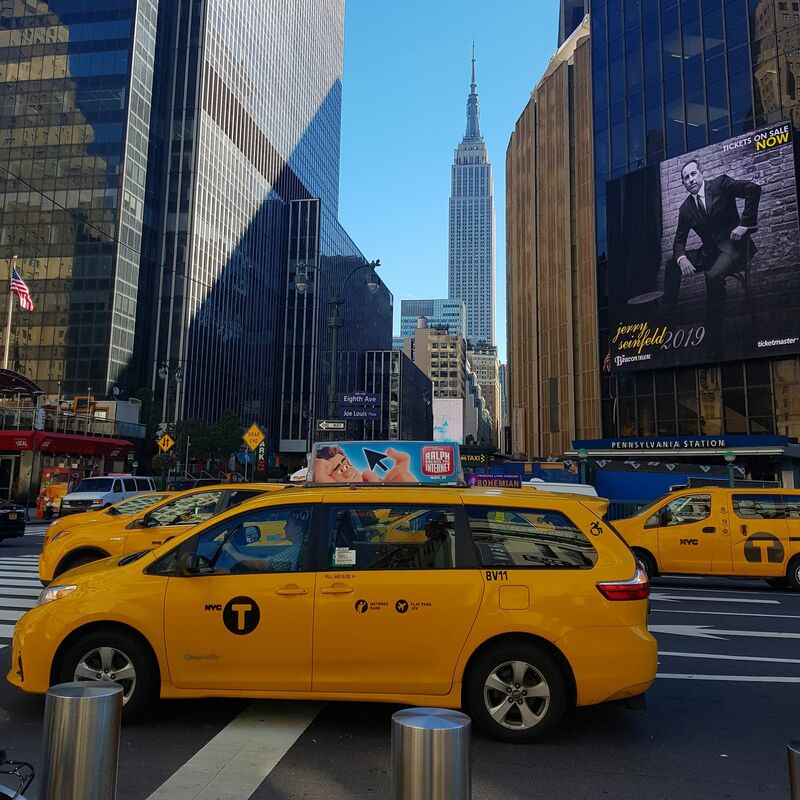 New York is home to some of the most famous venues in the world! Madison Square Gardens, The Apollo Theatre, Radio City, the Lincoln Theatre and many more. Do some research before you book your flights. Imagine your favourite artist was playing the day after you were due to fly home! When I hear people chat about New York, the main thing they mention is the shopping. That frustrates the life out of me 😀 Trust me, I have spent a lot of time shopping in New York but I regret it deeply. There is just so much more to see and do and I hope my blog posts have proven that. 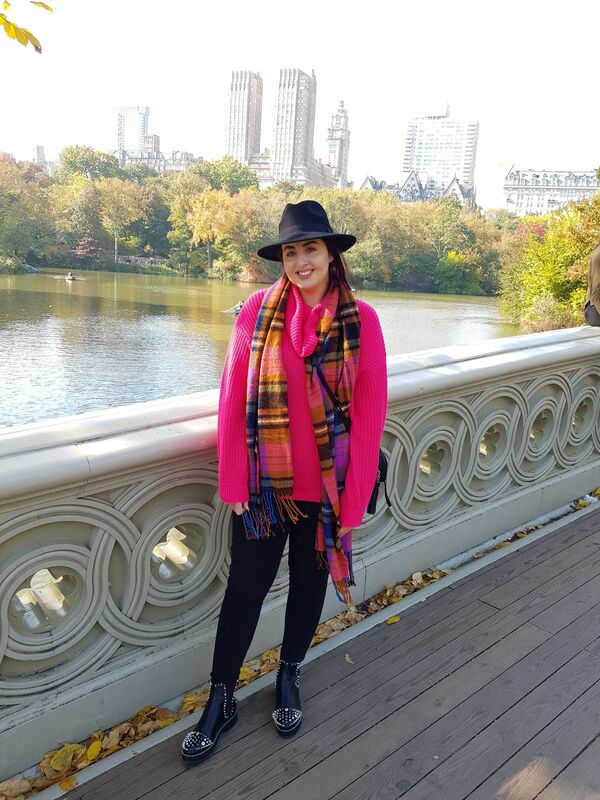 However, if you have enough time to shop and do everything else, or if shopping in New York makes you the happiest… here is my take on it. Shopping Tip: Bring your passport to Customer Services at Maci’s, Jersey Gardens and Woodbury Common! You get a discount booklet for more dolla bills off! Shopping in Manhattan costs the same as shopping in Ireland. Actually, it probably costs more because they add tax once you get to the till. If you’re looking for a bargain though, the biggest department store in the world, MACI’S is where you will find it! I prefer Jersey Gardens over Woodbury Common. It’s based in New Jersey, no prizes for guessing, and it’s basically a huge shopping centre (or mall :p). There’s no tax in New Jersey so that’s why it’s cheaper to shop there. Click here to see the Store Directory. To get to Jersey Gardens from Manhattan, you need to get a bus from Port Authority Station on 41st street. Price: The bus costs about $12 return and takes approximately 30 minutes. Woodbury Common is essentially like Kildare Village! It’s outdoors so if you’re visiting in the winter, the weather could make or break your experience! Woodbury Common includes a lot more high-end brands than Jersey Gardens. Check out the store directory here if you’re visiting. To get to Woodbury Common from Manhattan, you need to get a bus from Port Authority Station on 41st street. Price: The bus costs $42 return and takes approximately 1 hour. 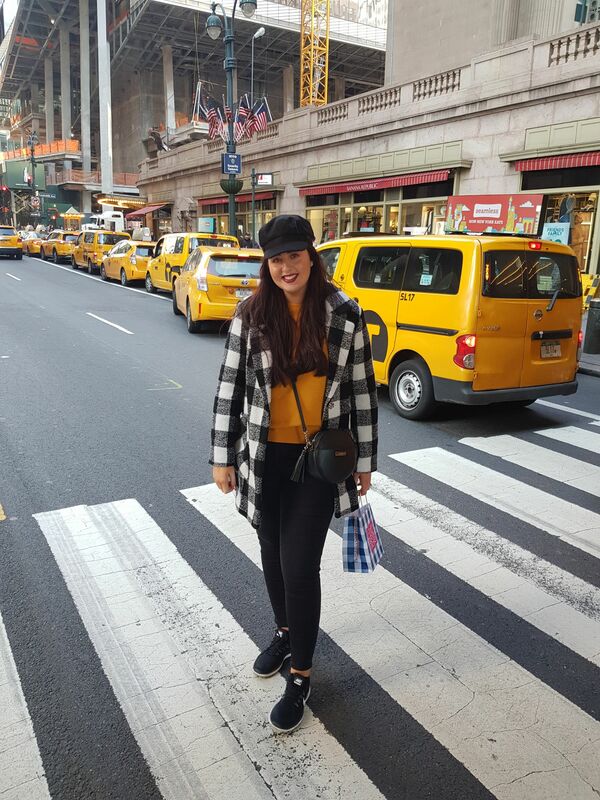 Century 21 is probably my favourite place to shop in New York! I’m not sure if it’s well know (let me know below, if you have heard of it!). It’s a department store right next to Ground Zero so you can kill 2 birds with one stone and visit both on the same day! It stocks most brands and is great for cheap Calvin Klein underwear (for him and her :p), bags, watches, homeware. It has a bit of everything really! 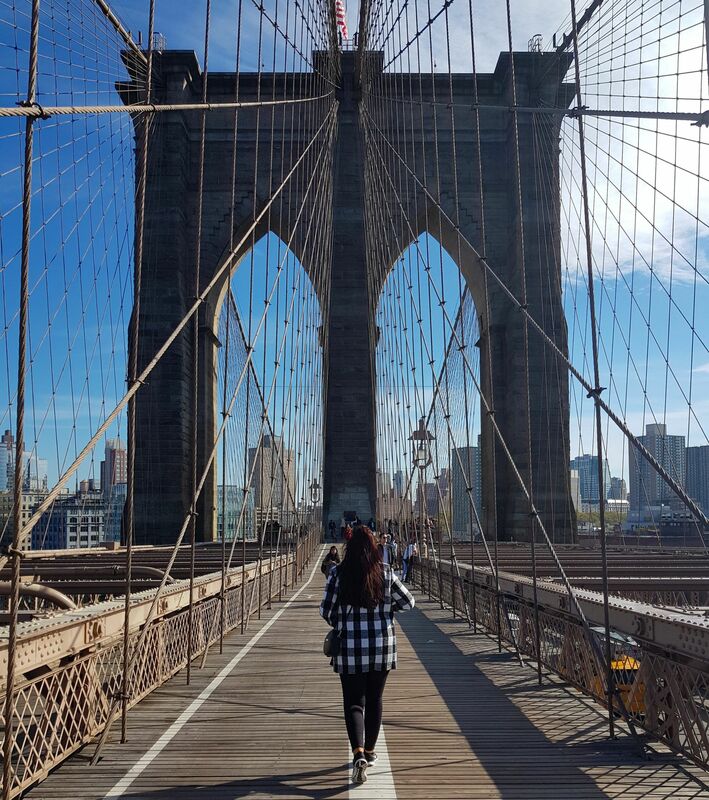 The best way to see New York is by foot. WALK EVERYWHERE… for a couple of reasons. You don’t want to miss out oN the atmosphere, the smells (anyone who has been to NYC knows it smells like nuts and pretzels!) and just being there! 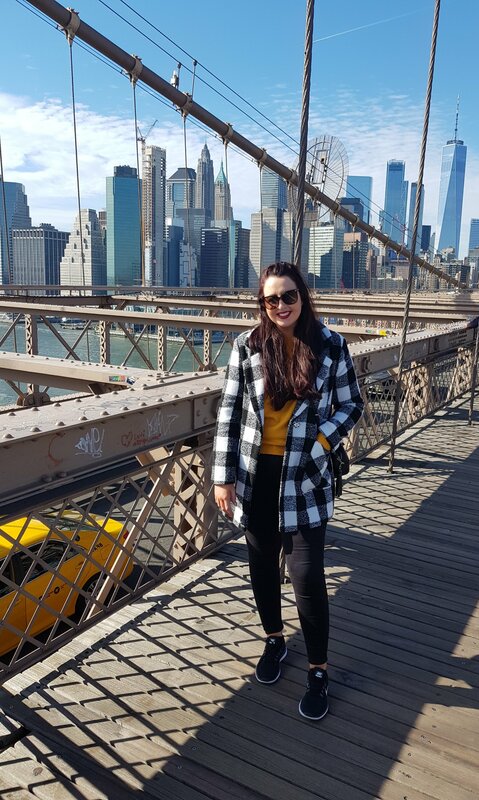 There are so many places you’ll recognise from TV and films and to be honest, I feel like I’m in a film when I’m in New York! On that note, when you’re walking around, keep your eye out for celebs! This time, we seen Laura Linney trick or treating in Brooklyn with her kids… she’s no Beyonce but still (we loved Ozark :p). 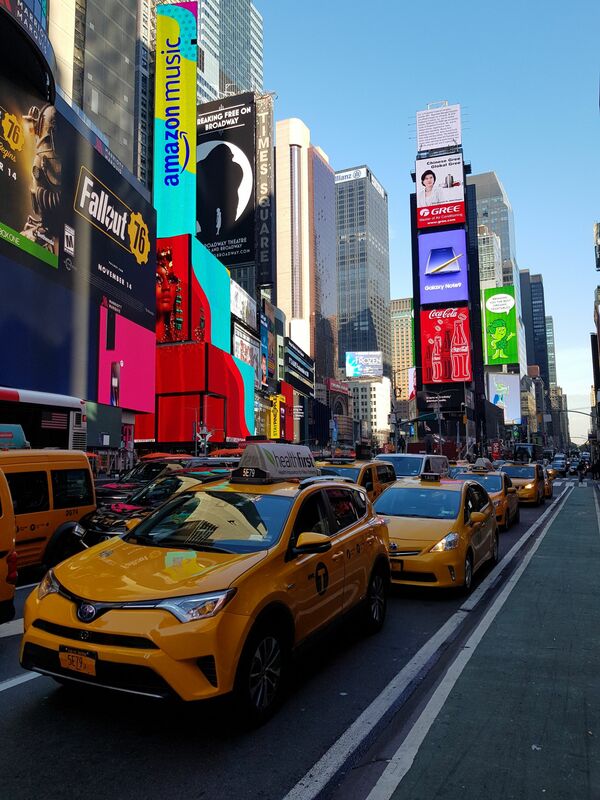 The other reason to walk everywhere is because the yellow cabs are so expensive and the traffic is absolutely manic… always! Another way to get around, especially if you’re planning on visiting the other burrows of New York (Brooklyn, Harlem, etc. ); is by Subway. We made a mistake here. There is a 7 day ticket you can get for $33. Because we planned on walking everywhere, we didn’t think we would use the Subway much, but we did. So each time we got the subway, it was $3 each which worked out a lot more expensive than the 7 day ticket! The Subway will get you to anywhere in New York and it is absolutely safe to use. Just be vigilant of your pockets, as you should be in any city! There are roughly about 25,000 restaurants in New York so you can be sure there are so many places to eat. It’s expensive to eat out, it usually cost around $25 each everywhere we went! Bubba Gump on Times Square, is my favourite place to eat in New York, and probably anywhere! It’s a shrine to the famous Forrest Gump film but you don’t have to be a fan to enjoy the experience (or food :p). I’m a bit reluctant recommending this because the last time we were there the food wasn’t great! But I’ll give them a pass since it was 10/10 every other time. I strongly recommend the cajun shrimp, baby back ribs and Mud Pie! 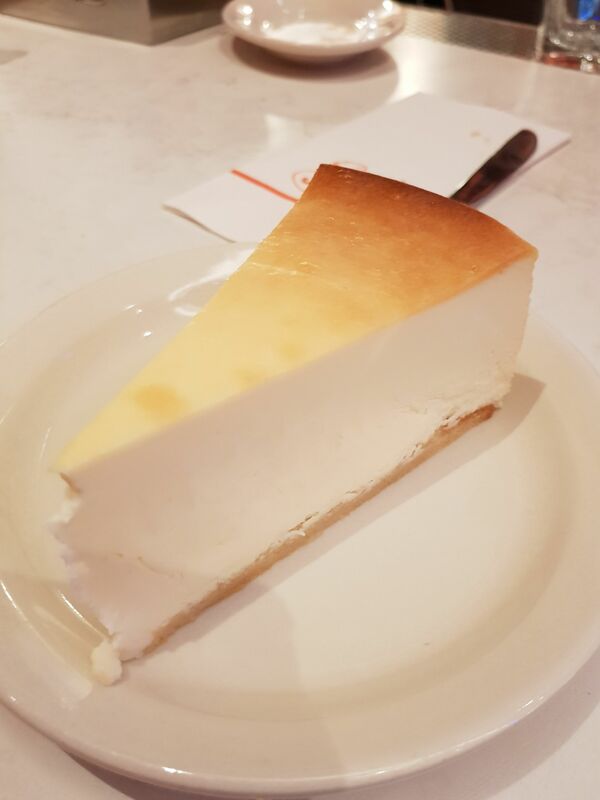 Home of the World’s Best Cheesecake… it is seriously AMAZING! Oh and you MUST try the Disco Fries! Surely you have heard of the singing waiters? 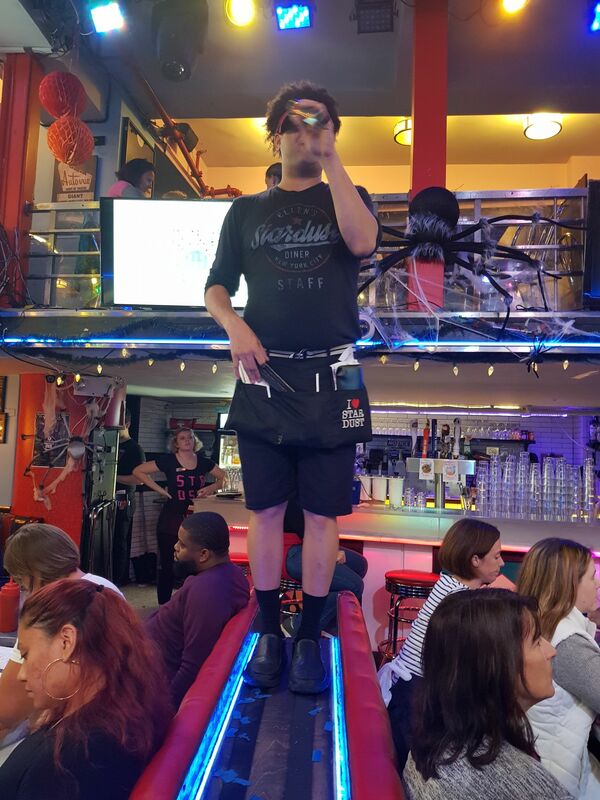 All waiting staff are professionally trained singers and aspiring Broadway performers! The food is grand, not the best, but it’s a great experience. You can’t book in advance, you must queue, but if you go at lunch time the queue is not bad at all! This was delicious! 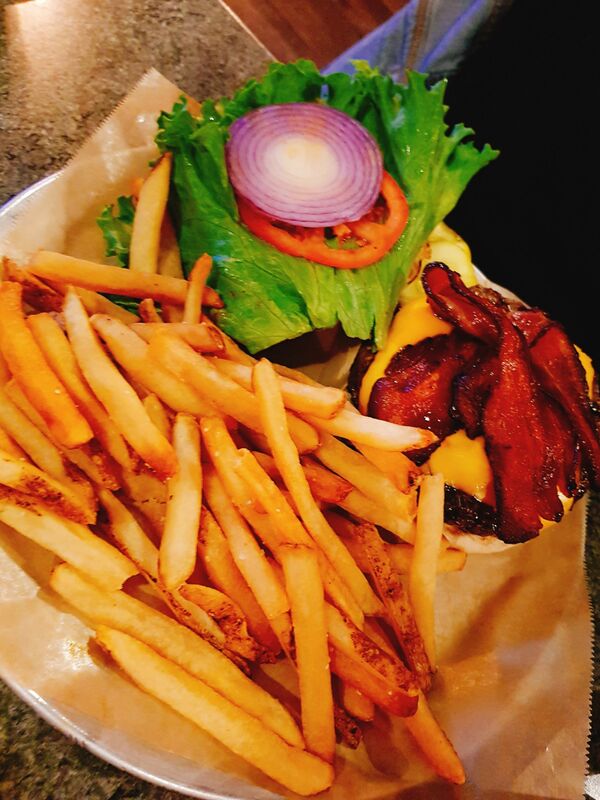 It’s just off Times Square and as the title suggests, it’s all barbecue-y 😀 We got “The Burger” and it was scrumptious, HUGE, but scrumptious! Also, we had the best coffee in New York here, probably because they serve it with fresh cream! We didn’t get to visit Minetta Tavern on this trip but we both remember how great the food was. This is a proper restaurant so you need a reservation! This looks exactly like the old school American diners you see on TV. Darren got a sandwich which he really enjoyed and I got… PANCAKES! 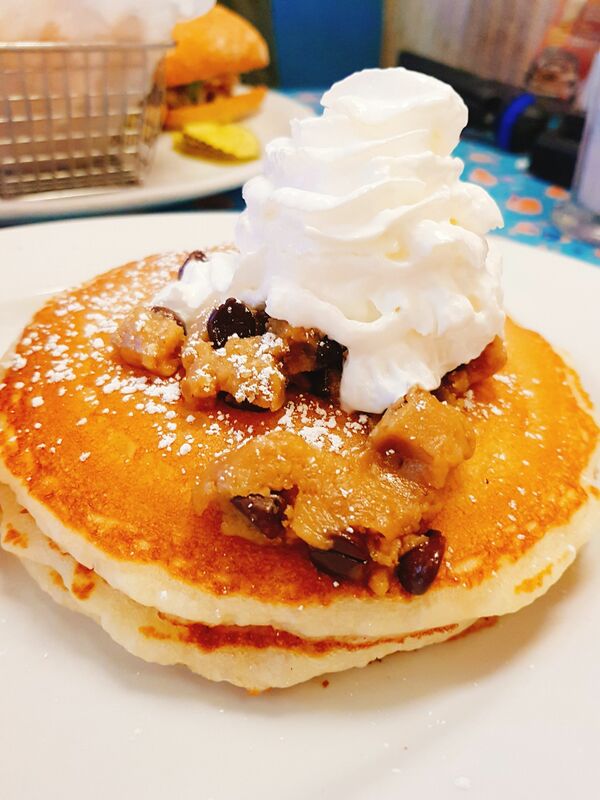 No ordinary pancakes… COOKIE DOUGH PANCAKES and my god… YES! I recommend them! The milkshakes are insane too! Here is where we had the best food during our trip. We got the chicken breast “sandwich” (burger) and it was so fresh, tender, juicy and tasty! The chips were freshly cut, not frozen, and there is a real nice atmosphere. I’m only disappointed we didn’t discover it sooner in the week. We set ourselves a challenge to find the BEST pizza in New York and my vote goes to… GARLIC. Probably because I love garlic! Other delicious pizza places are Grimaldi’s, Joe’s Pizza (Kardashian’s favourite) and John’s (my second favourite :D). Since I don’t drink that much, I’m not going to be much help on the bars front. However, I do know that the Dead Rabbit, an Irish Bar, was voted the best bar in the world, and the food is also supposed to be gorgeous! Oh and we went up to the Refinery Rooftop bar because it boasts views of the Empire State Building. I recommend booking a table outside in advance otherwise you’ll have to sit at the bar (and then that defeats the purpose of a rooftop bar!). Other than that, check out this guide of the Top 50 bars in New York. Tipping is part of American culture and something you have to get use to as soon as you land at the airport! The guideline is 20% and although they say it’s optional, it’s really not! If you didn’t tip, they would mention it to you or give you a really dirty look. That’s because those who work in the Service Industry, rely on their tips to live on (they’re paid pittance!). 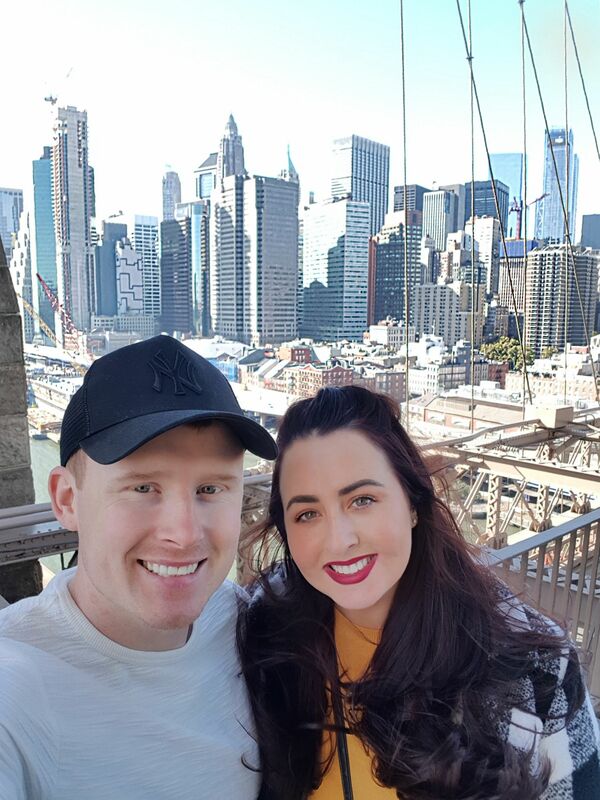 If you look up the cost of living in New York, it makes Dublin look reasonable! So if you were happy with a service, don’t be shy :p But be mindful, some places automatically add a Service Charge to your bill, so watch out for that if you don’t want to tip twice! There you have it, my Ultimate Guide to New York City! With 3,500 words, it’s definitely ULTIMATE! God, I thought my days of writing essays were long behind me! 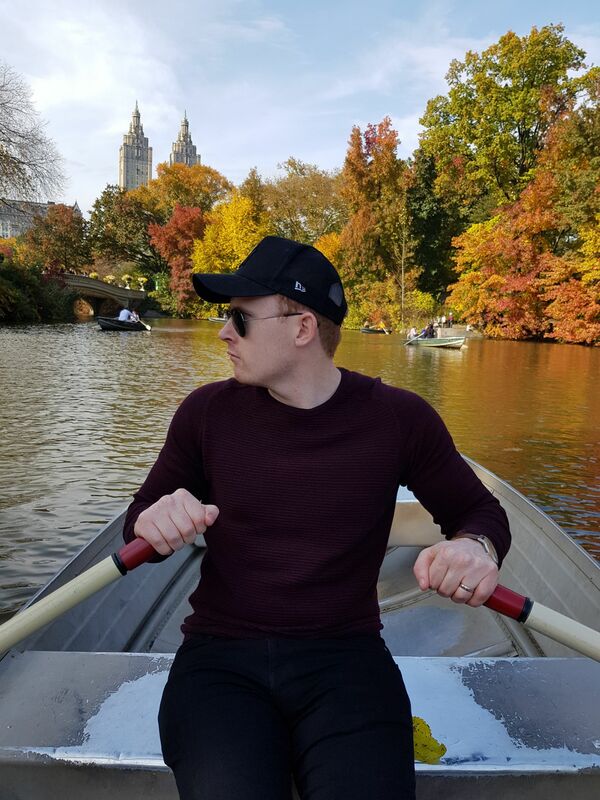 But that is a testament to how passionate I am about New York and I really hope I have inspired at least one of you to get a plan together and go! If I have, please let me know. Getting messages from people telling me I have motivated them to travel, honestly makes my day, and is my favourite part of running my baby blog! Thank you so much for reading, and if you read all of this, you’re rapid! 34 days to go!! I’m heading over solo for NYE and can’t wait. Great foodie recommendations, I’ve added them to my list. I’ve booked tickets to the Rockettes – so excited – and will try and catch at least one more show. I’m giving over 1 day for shopping and that’s it, too much else to see and do. Great post Carly, I’m all giddy again for my trip.